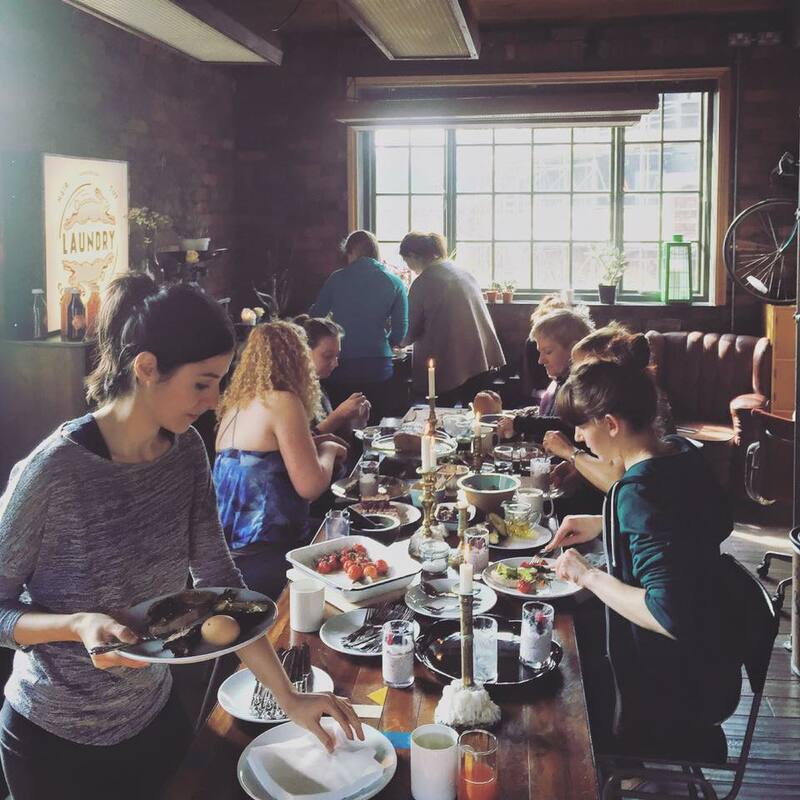 Yoga Brunch is Back! Sat 15th October! Hurrah! You can stop your clamouring! 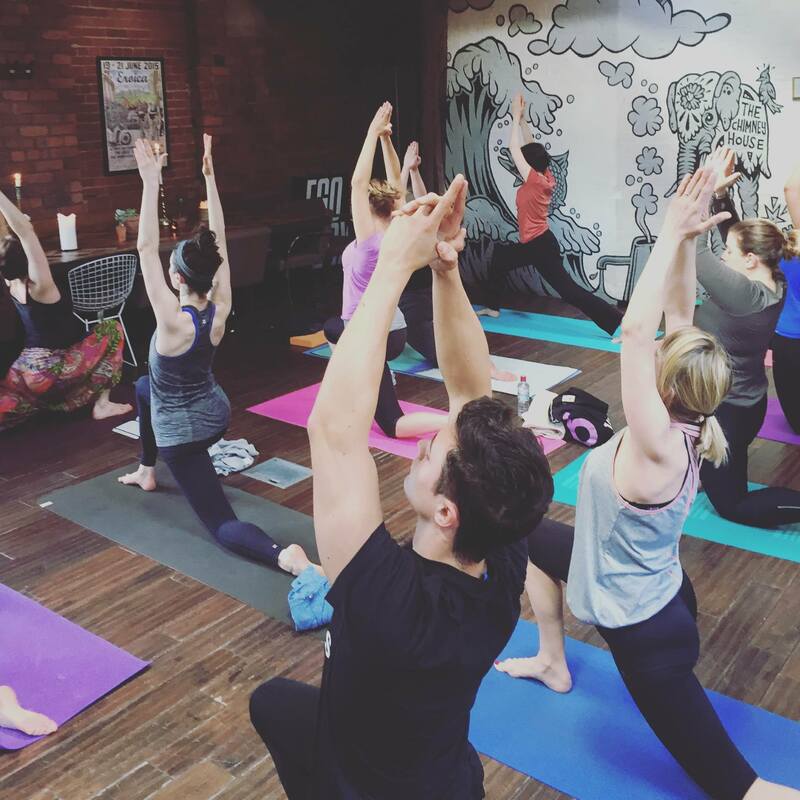 We've had a million requests, soooo... Yoga Brunch is back! 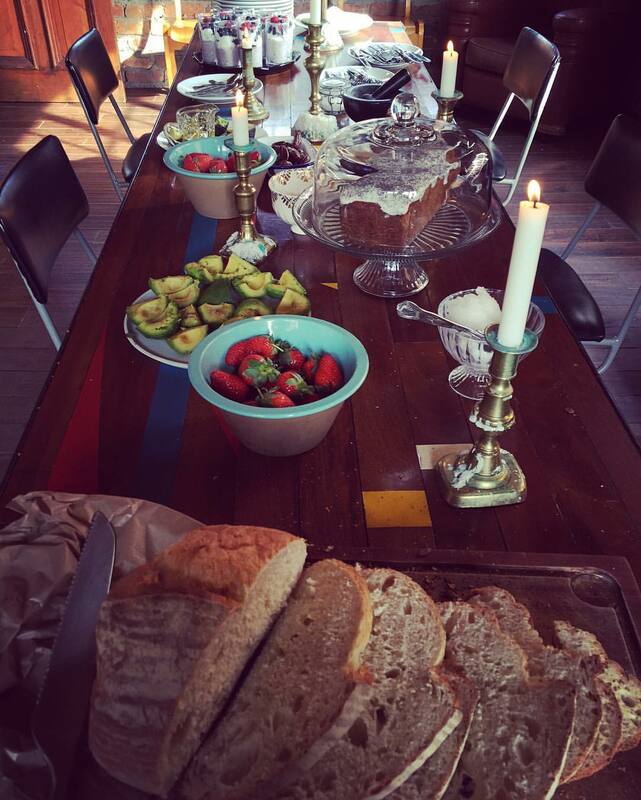 On 15th October 2016 we'd love to welcome you to The Chimney House for the absolute dreamiest Saturday morning. 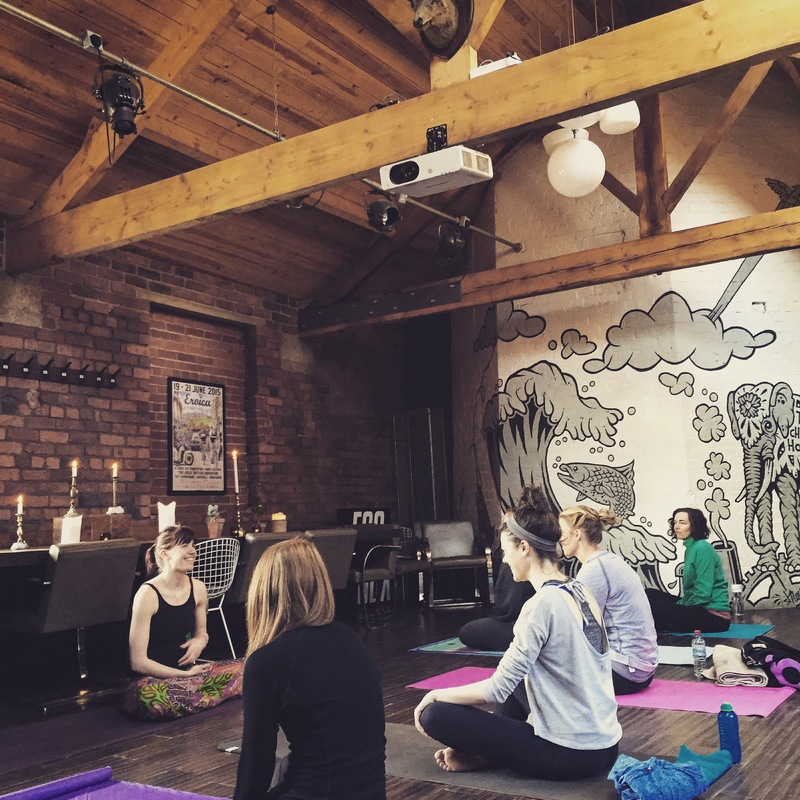 As days start to get chilly, and leaves get cripsy underfoot, come and get toasty on our heated floorboards with a 90 minute yoga session with Lydia Ainscough. Lydia will lead us in a fabulous class, stretching out the strains of a busy week, and easing away all the tensions of life. After we've worked up a sufficient appetiete (ahem!) we'll have the perfect excuse to tuck into the most glorious brunch! Hurrah! 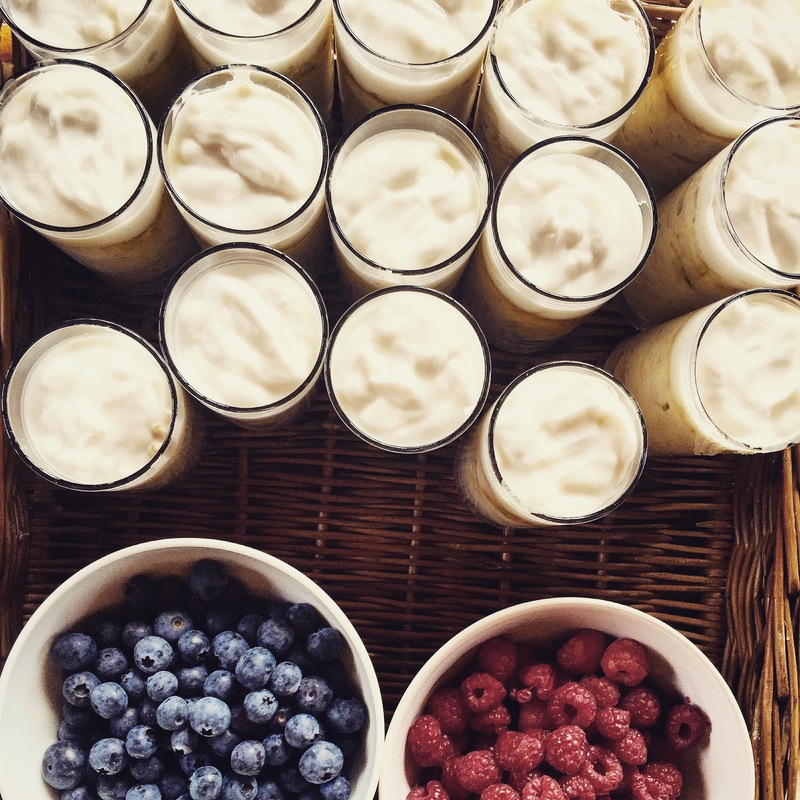 At our last Yoga & Brunch we started with gluten free & dairy free bircher muesli, with pear, Sheffield honey, coconut yoghurt and almond milk, with plenty of fresh raspberries, blueberries, almonds and strawberries to dollop on top. 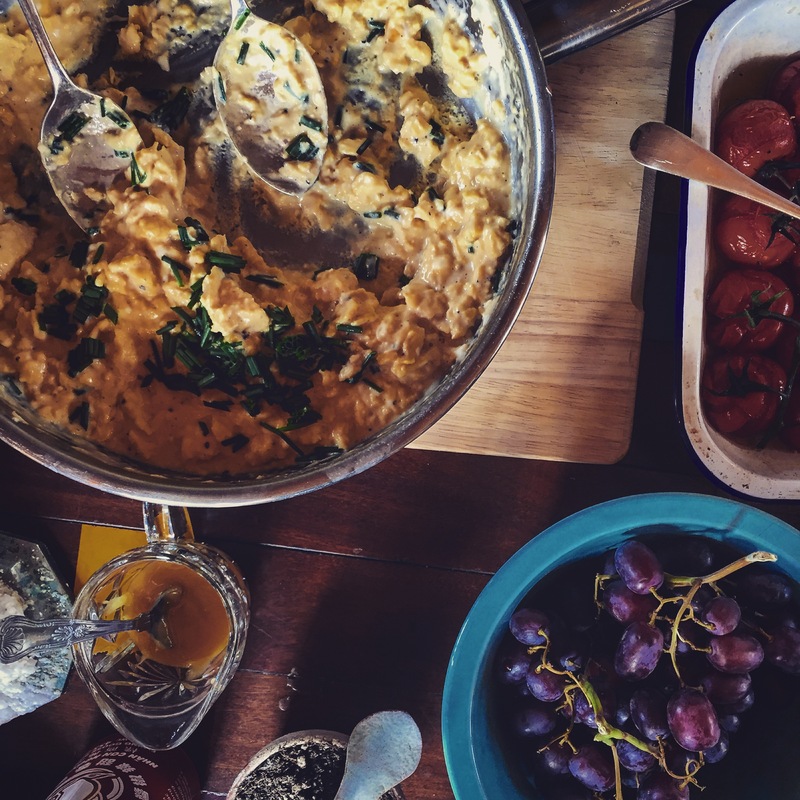 We then moved on to our homemade luxury scrambled eggs... slow cooked, creamy, topped with chives, freshly cracked black pepper and Maldon salt, all on the freshest warm Seven Hills Bakery poppy seed pagnotta and sunflower seed sourdough. Add some super creamy perfectly-ripe avocados, and tomatoes slow roast on the vine with olive oil, toast and almond butter and jams. Finished with Seven Hills gluten free lemon and poppy seed cake. Think seasonal, think Sheffield, think super scrummy. You must email any dietary requirements to kirstin@thechimneyhouse.com by Friday 7th October 2016. Dietary requirements not received in advance will not be able to be catered for.